Social Media Advertising is easy to do, but hard to do right. Making a great ROI is the goal! This complete advertising guide to social media ads will get you started on the right track! It’s no secret that digital advertising has become a key part of most marketing campaigns. Internet advertising spend overtook newspaper ad spending way back in 2013, and eMarketer predicts that it will overtake TV ad spending for the first time by the end of this year. The numbers are huge: an anticipated $72.09 billion spent on digital ads in the United States alone in 2016, a number expected to rise to more than $82 billion next year and more than $113 billion by 2020. 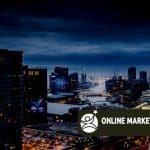 It probably comes as no surprise that Facebook is one of the biggest players in digital advertising, indicating that social media advertising is front and center in the digital ad world. In fact, Facebook blows all other digital properties out of the water when it comes to display ad spending, capturing 35.4 percent of total display advertising spending in the U.S.—a whopping $11.93 billion (second-place Google, by comparison, will take in just $4.79 billion). And that just displays ads. Facebook’s total social ads revenue was more than $6.8 billion in Q3 2016 alone. But the other social networks are nothing to sneeze at, with Twitter bringing in $545 million in social media advertising revenue in the same period. Snapchat will sell $367 million in social ads in 2016, after launching its ad platform just over a year ago. Total social ad spending in 2016 is expected to reach $32.97 billion. By 2018, Facebook alone will top that number. Based on the social media advertising statistics, it’s clear your competitors are investing in social advertising platforms. In terms of ROI, more than 95 percent of social media managers say Facebook offers the best return, followed by Twitter and Instagram. With so many choices, it can be a challenge to develop a social media advertising strategy that works for your unique business. In this beginner’s social media advertising guide, we dig into everything you need to know about launching a social ad campaign, then give you the nitty-gritty details on how (and why) to create ads on six of the most popular social networks. Social media advertising is evolving all the time, making it one of the trends to watch in 2017. What else will be new in social in the new year? Watch our webinar to learn the trends, tactics, and strategies that will position your organization for success in 2017 and beyond. Before you start developing your social media advertising strategy, it’s important to understand exactly what social media ads are. Quite simply, a social media ad is any kind of paid content on a social media network. The options run from a one-off promoted Tweet or Facebook post to a full-scale campaign with major budgets attached. Each social network offers different options, and we’ll explore them in detail below. Hootsuite has been using social ads since 2012—a lifetime in the digital world. While the social ads tools and networks available are constantly evolving, the key principles of effective social media advertising are much more stable. After a couple of years of refining Hootsuite’s own social ad strategy, CEO Ryan Holmes laid out six ways to use social media ads to grow your business in an article that stands the test of time. Here are his tips. You’re likely already posting content on Twitter, Facebook, and Instagram every day—and maybe LinkedIn and SnapChat, too. Some of these posts will resonate with followers; others won’t. Track which ones are being clicked, liked, shared, and commented on. These high-performing messages make the best candidates for social ads. Traditional ads are inefficient. One of many social media advertising benefits is that social platforms offer very effective targeting capabilities to address that problem. From targeting social media managers on LinkedIn to Stranger Things fans on Facebook, take advantage of this very useful targeting for more efficiency in advertising. Though it’s annoying to see the same TV ad in every commercial break, repetition is an effective way of hammering home the message using one-way communication. But on advertising channels where engagement is key, and ads appear directly in users’ feeds, fresh content is the name of the game. Overly repetitive messaging may end up losing you more business than you gain. Hootsuite has found the best practice is to rotate ads every three to five days. One of the great virtues of social ads is instant feedback. You can gauge the effectiveness of a sponsored post in minutes and follow up with advanced analytics reports. The best practice is to test several ads with small audiences to determine what works best, then use the winning ad in the primary campaign. You’ll learn the details below, but keep in mind that keeping your social media advertising budget under control means thinking about whether you’re designing an ad campaign based on impressions or engagements. If you’re paying every time someone sees your ad (impressions), your message can cast a wide net. But if you’re paying for engagement, you only want people who are really interested in doing business with you to engage. The wording of your ad should help people self-qualify. More than 80 percent of social network users are accessing social media on a mobile device in 2016. This means most social media ads are being viewed on mobile devices as well. Your mobile ads should be specifically designed for the small screen, incorporating images that are easy to view on a pocket-sized device. You can also take advantage of “geofencing” to target mobile users when they are in a specific zip code, so they only see your ads when they are close enough to walk in your front door. Now that you understand some basic social media advertising guidelines, let’s dive into the specifics of advertising with each of the main social networks. Facebook offers several different ad formats. The technical specifications for photo ads vary depending on the ad objectives, so you should check the details on Facebook Business. For clicks to your website, for example, photo ads offer a headline of 25 characters, 90 characters of test, and a link description of up to 30 characters. Depending on the ad objective, you may also be able to add a call to action button with actions like Shop Now, Learn More, and See Menu. Video ads generally have the same call to action options and character counts as photo ads. The aspect ratio required depends on the campaign objective, but 16:9 or 1:1 will usually work. A carousel ad lets you include up to 10 images and links in one ad. You get 90 characters of text, a 40 character headline, and a 20 character link description. Images should be have a 1:1 image ratio. A slideshow is an ad that creates a video from several static images. All images should have the same size and aspect ratio. Canvas is a full-screen mobile ad type that combines videos, photos, and call to action buttons. It allows users to tilt and zoom to interact with the imagery. Facebook offers extensive targeting options, and choosing the best target audience will maximize the value of your ad spend. Demographics allows you to filter for nine demographic categories: education, ethnic affinity, generation, household composition, life events, parenting, politics (U.S. only), relationship, and work. Interests breaks the many interests Facebook users indicate through their social media activity down into nine broad categories: business and industry, entertainment, family and relationships, fitness and wellness, food and drink, hobbies and activities, shopping and fashion, sports and outdoors, and technology. Each of these has multiple subcategories, so you can drill down quite deep in your targeting. Behaviors allow you to filter users based on their behaviors on Facebook and information Facebook gathers from partners. You can also choose to target or exclude people who already have a connection with you on Facebook, as well as those people’s friends. Facebook also lets you create a custom audience by uploading a list of email addresses, phone numbers, Facebook user IDs, or app user IDs. You can then use lookalike audiences to find other people on Facebook that are similar to that audience. Once you’ve created your target audience, you can narrow your focus even further based on type of device, and even whether the Facebook user is connected via data or Wi-Fi. Facebook ad pricing varies based on quite a few factors, including the time of year, the country you’re targeting, and even the quality of your ad. For link clicks and conversions, on average the cost per click in the United States in Q3 2016 was 27.29 cents, and the CPM was $7.19. But the average CPC in Australia was nearly 80 cents—a huge difference. The cost per click varies by placement, with ads in the desktop news feed costing $0.29 per click compared to $0.18 for mobile in Q3 2016. Before you buy your first Facebook ad, you’ll need to set up a Facebook business page. Once your page is ready to go, you can head over to the Facebook Ads manager to create your first ad. Facebook offers 15 different campaign objectives, broken down into the three broad categories of awareness (boost posts, increase brand awareness), consideration (app installs, lead collection), and conversion (website conversions, visits to your offline store). Choose the objective that best aligns with your goals for this particular Facebook ad. For some help narrowing down the best goal for your ad, check out our guide to Facebook advertising strategies. You can choose a daily or lifetime budget, then set start and end dates for your ad or set it to start running right away. The advanced budget options allow you to really control what you spend by choosing whether to optimize your ad delivery for engagement, impressions, or unique daily reach and whether you pay by impression or engagement (for engagement ads only). You can choose to create a new ad or use an existing post. If creating a new ad, you first choose whether to use a single image, a single video, or a slideshow, then enter the text of your ad. On the right side of the page, you can preview what the ad will look like in various formats. Once you’re happy with how your ad looks, click the Place Order button, then wait to get an email from Facebook telling you that your ad has been approved. To learn more about Facebook ad best practices, check out our complete guide to advertising on Facebook. If you’d like to cut down on the number of steps required to get your Facebook ad up and running, Hootsuite’s AdEspresso integration lets you create and optimize your Facebook ads directly from the Hootsuite interface. Hootsuite Enterprise users can create promoted posts, target ads and create split tests, and keep an eye on the results with the built-in social media advertising analytics. Learn more about managing your Facebook ads on Hootsuite. There are three different kinds of Twitter Ads: Promoted Accounts, Promoted Trends, and Promoted Tweets. Promoted Tweets are messages that will appear directly in the timelines of the Twitter users you target at a specific time. A Promoted Account is an ad that invites targeted Twitter users to follow your brand. Trending topics on Twitter are the most talked about subjects on the social network, appearing on the left side of the page. Promoted Trends allow you to put your story at the top of that list. For website clicks or conversions campaigns, you promote Tweets to people who you want to visit and take action on your website. You’re charged per click. For Tweet engagements campaigns, you promote Tweets with the goal of starting conversations about your brand. You pay for the initial engagement. For followers campaigns, you promote your Twitter account and pay per follower gained. For awareness campaigns, you promote your Tweets to a broad audience and pay for impressions (CPM). For video views campaigns, you promote your videos to a targeted audience and pay per video view. For app installs or re-engagement campaigns, you promote your Tweets and pay per app install. For lead generation campaigns, you promote Tweets and pay per lead collected. Twitter allows high-level targeting based on location (country, state, region, metro area, or postal code), gender, languages, device, platform, and even carrier. More detailed targeting options allow you to target your audience by the keywords they Tweet, their interests (by category or based on usernames of Twitter users who embody the interests of your desired audience), the specific TV shows they Tweet about, behaviors, and their interest in specific events. You can also upload specific lists of people (your email list, for example) to target with ads or target people who are similar to your follower base. The cost of Twitter ads depends on the ad type. Promoted Tweets and accounts might cost you anywhere from 50 cents to $10 or more per engagement (video view, link click, follow, etc.) based on how targeted your ad is. Promoted Trends, on the other hand, have been reported to cost $200,000 a day. The key here is testing your ads. Run a few short campaigns with a small budget to find out which objective is right for your audience and your budget. For engagement campaigns, Twitter only charges you when a user completes the action set out in your campaign objective, so all of these campaigns will provide some value. It’s always a good idea to look at what other advertisers are bidding for similar ads, which is information Twitter provides. Once you sign into the Twitter ads platform (and add your payment information), buying Twitter ads is a simple four-step process. Choose your objective and click Create Campaign to reach the ad campaign screen. Once there, name your campaign, choose whether to start the campaign right away or schedule start and end dates, and decide whether to add third-party tracking with DoubleClick. Choose from among Twitter’s targeting options. They provide an estimated audience size to help guide you. You can set daily maximum and total campaign budgets. Twitter stops showing your ads once your budget has been reached, so you don’t have to manually end campaigns to avoid being charged. Twitter will show you an existing list of eligible Tweets to promote, or you can create new ones. You’ll see a preview on the right side of the page. Click Publish Tweet to launch your ad. Since Facebook owns Instagram, it’s not surprising that Instagram ad types mirror three of the Facebook ads types: photo, video, and carousel. Also like Facebook, the ads support a number of different objectives. For Instagram, the available objectives are: website clicks, website conversions, mobile app installs, mobile app engagement, video views, reach and frequency, page post engagement, mass awareness, and local awareness. Instagram ads offer the same audience targeting option as Facebook ads, described earlier in this post. Keep in mind, though, that the demographics of Instagram users, in general, differ from those of Facebook users. The largest demographic of Instagram users is young urban women (aged 18 to 29). Like Facebook ads, Instagram ads offer options to pay per engagement or by impression (CPM). The average cost per click for an Instagram ad in Q3 2016 was $0.72. Follow the steps outlined in the Facebook section above. In step 2, make sure to choose Instagram as your placement of choice. Awareness campaigns aim to get your Pins in front of people who have not heard of your business before or are not already interacting with your brand. Engagement campaigns encourage Pinners to engage with your content by repining or clicking your Promoted Pins. Traffic campaigns funnel visitors from your Promoted Pins directly to your website. 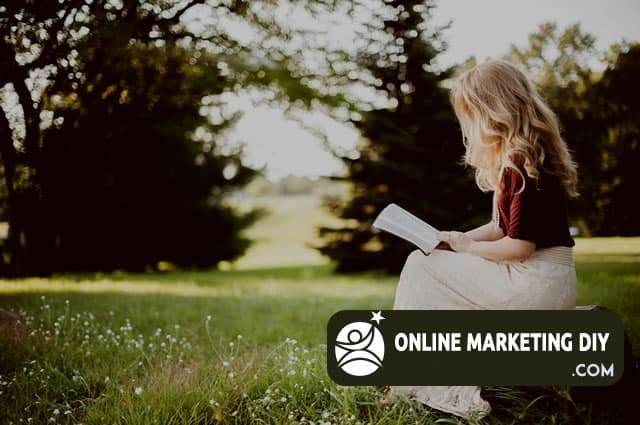 Interest targeting allows you to target Pinners based on 420 different interests including, for example, street style and sustainable architecture. Keyword targeting targets Pinners based on search terms. Business data targeting lets you target existing customers, Pinners who have visited your site, or a “lookalike” audience that looks and acts similar to your existing audience. You can also target by location, language, type of device, and gender. How you’re charged for Pinterest ads depends on the type of campaign you run. Awareness campaigns are charged by CPM, engagement campaigns by engagement, and traffic campaigns by click. Pinterest uses a “second-price auction model” for ad bids. That means you set a maximum bid you’re willing to pay, but you are only charged the amount needed to top the next-highest bidder. You might be charged your maximum bid, but you could pay less. Pinterest’s ad interface provides bid guidance that will let you know if your bid is too low. The minimum CPM bid is $5. Before you can create a Pinterest ad, you’ll need to set up a Pinterest business account. And since you can only promote Pins you’ve already posted, you’ll actually need to post the Pin you want to promote before you start the process of buying your ad. Confused? You can get more details in our Complete Pinterest Ads Guide for Business. Once you have a business account with some Pins posted, you’re ready to buy your first ad. From your Pinterest profile, click on the + button and select Create ad—or just go straight to ads.pinterest.com. Select what type of campaign you want to create: awareness, engagement, or traffic, then name your campaign, select the start and (optional) end dates, and set your daily budget. Choose the Pin you want to promote. If you’re not sure, you can use the filters on the Pick a Pin screen to find out which of your Pins have had the most engagement in the last 30 days. You’ll next find yourself on the Add more details screen. Here, you’ll use the targeting options to choose exactly who will see your Promoted Pin. Still, on the Add more details screen, you’ll enter your maximum bid and daily budget. Review all the information on the right side of your screen, then click Next. This submits your Promoted Pin for review. It may take up to 24 hours for your Promoted Pin to be approved. In the meantime, set up your billing details. Display ads: Share content with a targeted audience. Sponsored InMail: Deliver sponsored content directly to LinkedIn user inboxes. Sponsored content: Your content will appear in the LinkedIn timelines of your target audience. Text ads: These are text-based ads that appear in the right column of the desktop. Dynamic ads: These ads also appear in the right column, but incorporate display ad unit formats. LinkedIn targeting, not unlike the social network itself, is very good for employee- and company-specific targeting. You can specify who you want to see the ad based on the industry they work in, their position and seniority (maybe you’re sharing a white paper for managers? ), where they work, how big their employer is (think of a post targeting enterprises, not SMBs), and beyond. As a result, LinkedIn is extremely effective for B2B marketing and job-related advertising. If the audience you choose is too big or too small it might not perform well, so test audience targeting with several ads to hone in on the right one for you. Like Facebook, LinkedIn lets you choose whether to pay based on the cost-per-click (CPC) model, or pay by every 1,000 impressions (CPM). However, LinkedIn has set a minimum budget of $10 per day per campaign. There are also minimum bids for CPC text ads ($2 per click) and CPM text ads ($2 per 1,000 impressions). Sponsored Content minimum bids will vary based on the audience you choose. With these minimum bids, it’s important that you seriously consider your objective when building out LinkedIn ads. These ads should be very business-focused, as Facebook and Twitter provide much cheaper alternatives for content marketing. Test a few LinkedIn ads and see whether the price is worth it for your business. The process will vary a bit depending on the type of ad you want to run. Since text ads are the simplest (and least expensive) way to get started, that’s what we’ll focus on here. On your LinkedIn homepage, hover over the Business Services tab at the top right and choose advertise, then scroll down to the bottom and click Create Ad. Then, choose what type of ad to create. If you don’t yet have a Company or Showcase page (and you should), you’ll be limited to Text ads. Choose where to link your ad to, then add a small image along with your headline and copy. You can preview the ad in various formats on the right side of the page. Choose your target audience by industry, company size, job title, and so on. Set your daily budget and your bid, which will be a choice between paying for clicks or impressions. If you’ve never built an ad before, finish by entering your payment information. Then review your order and launch your campaign. Snap ads are video ads that appear between Stories. Users can swipe up to reveal extended content such as longer video, an article, an app install ad, or a website. Sponsored Geofilters (for larger companies) or on-demand Geofilters (for smaller brands) are overlay graphics users can select and add to their Snaps. Sponsored lenses are custom Snapchat lenses that work just like any of the usual suspects—like the infamous rainbow barf. For now, the only self-serve advertising option is on-demand Geofilters, so that’s what we’ll focus on here. For all other advertising options, you’ll need to contact Snapchat. When it comes to on-demand Geofilters, your only targeting options are the dates on which to run your ad and the geographic area to cover. But you can get the geotargeting down to the hyper-local: the area in which your Geofilter is available can range from a minimum of 20,000 to a maximum of 5 million square feet. You should keep the overall Snapchat audience in mind when thinking about advertising on this social platform: 60 percent of users are under 25. There’s a reason why most advertising options aren’t available on demand: Sponsored lenses run from $450,000 to $700,000 per day. On-demand Geofilters are much more affordable—but watch your catchment area. We found that a two-day Geofilter in the immediate area of our office would cost about $13, but expanding the territory of the Geofilter to the maximum 5 million square feet (about 70 square city blocks) upped the cost to nearly $3,000. One city block was about $45. Go to the Snapchat Geofilters page and log in to your Snapchat account. Decide whether you want to upload a Geofilter you create using design tools like Photoshop or Illustrator or select the online design tool. Uploading a custom Geofilter gives you greater customization in order to match your company branding. To explore the tools available, we’ll use the online design tool for the rest of this example. Celebrations offers the most options, and will likely be the most applicable for brands. Use the design tools to create a Geofilter appropriate to your brand. Choose the dates on which your Geofilter will be available. You can also choose to keep your Geofilter available for the long term and pay yearly. You’ll draw a virtual fence on a map to set the target area for your Geofilter. Remember that the larger the area you choose, the more you’ll pay. Then enter your payment details and your Geofilter is good to go!